In the states, after celebrating Thanksgiving Day, they have this what they call Black Friday. And Black Friday is the mark of their shopping season for the upcoming Yuletide. Various shops offer whopping discounts in all categories and jaw-dropping deals! And here in the Philippines, we will hold our very own Black Friday through Lazada's Pinoy Cyber Sale starting Nov. 24 up until Nov. 27! Watch out as this sale will offer discounted items of up to 80% OFF!! 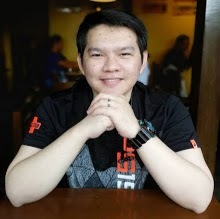 Lazada, the leading online shopping site in the country emerges with the Pinoy Cyber Sale campaign, with the top brands coming in the Philippines, as well as some of the top brand sold in the website being the main features of this campaign. The upcoming deals that the brands will give out could even compete with the likes of the Black Friday and Cyber Monday of other countries, making the brand one of the trusted in terms of e-commerce in the country today. The Pinoy Cyber Sale is a big part of Lazada’s Online Revolution, where the group celebrates the finest products and sales that they can come up. Shop the Universe, and see how expansive the online shopping experience is in the Philippines as we speak. 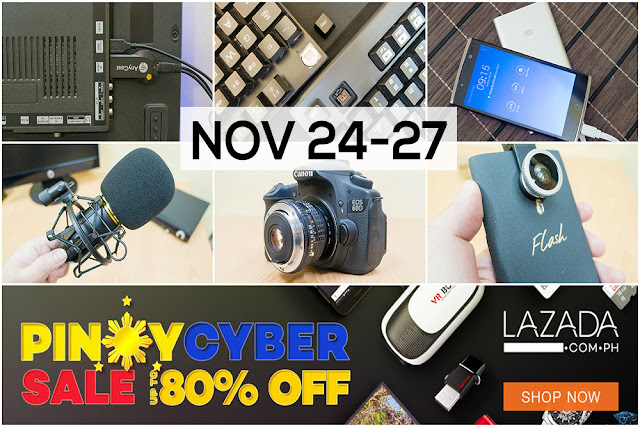 Again, the Pinoy Cyber Sale takes place from November 24 up to 27,2017. Pro Tip: Head on to Lazada and browse through your favorite items and put them on your wishlist for easy checking out during the Pinoy Cyber Sale. Lazada Online Revolution Sale 11-11 might be done but the sale doesn't stop there! As they move closer to the part two of the Online Revolution Sale 12-12, Lazada will be revealing more exciting deals from their partner brands and categories! Check out Lazada's campaign calendar! Subscribe to get updated when more sale schedule gets released especially the flash sales! Because they are one of the biggest online shopping websites in the country and in south-east Asia. They provide Amazing promos with Cash on Delivery and Free Shipping Nationwide. They also give you the option for Free and Easy Returns just in case. So start browsing through the Lazada website and enjoy your online shopping experience!